Duty Manager is directing and coordinating overall activities of the Lobby to achieve maximum efficiency and productivity as required by the hotel. The Duty Managers are the representatives of The Management in dealing with the customers as needed. Duty Managers must have various knowledge of operational area throughout the hotel. They must be - Jack-of-all-trades- . 1. Supervise/delegate duties to all staff within the section and to prepare their working schedule including shift working, day off vacation and leaves. 2. 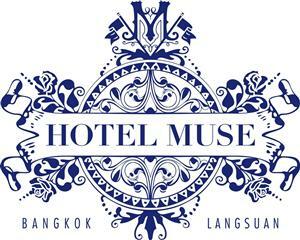 Assist Guest Service Manager/ Front Office Manager to enforce policy, procedures, rules and regulations laid down by the hotel in order to achieve uniformity and the required high level of standard. 3. Attend and conduct operation meeting to review/upgrade the performance of department as well as staff, explaining new directions, policies and procedures. 4. Represent the Management to ensure the smooth operations and efficient operations. 5. Ensure that all equipment are properly maintained and in good condition at all times. 6. Handle and resolve any guest complains or problems and to establish an amicable relationship with the customers of the hotel. 7. Have close supervision recommends improvements in operation especially to develop better service and increase in revenue and production cost. 8. Planning, organizing periodical Departmental training for staff in area of courtesy, efficiency, grooming, diplomacy, and job knowledge. 9. Arrange for limousine and photo services for VIPs and dispatches all pertinent information about said persons to company executives concerned. 10. Handles questions of charges, investigations of any guest comments and co-ordination with emergency plans. 11. Offer assistance and provides needed/sought information to guests and VIPs upon their arrival at the Lobby, escorts them to their rooms and requests them to register in VIP guest book whenever necessary. 12. Arranges accommodation of overflow guests in alternate hotel(s) and keep record thereof as Hotel Muse Pledge Relocate, arranges for their return to the hotel the following day or when conditions allow/exigencies require/justify. 13. Makes rounds/conducts inspections on the Lobby, of all but not limited to other guest areas in the interest of security, safety, guest relation, economy/conservation and acts, records, monitors to officer(s) concerned and superior(s) operational activities and significant events affecting units or the hotels a whole; handles lost & found matters. 14. Authorizes room or rate changes, paid outs, rebates, cash advances, acceptance of personal or company cheque, assumption of liabilities, - charge to- billing etc. according to or the basis of established policies, standard procedures. 15. Co-ordinates with line department concerned on discrepancies in room status. 16. Ensure manager- s float is maintained at a constant level as issued by accounts. 17. Any other duties that may be assigned by The Management.